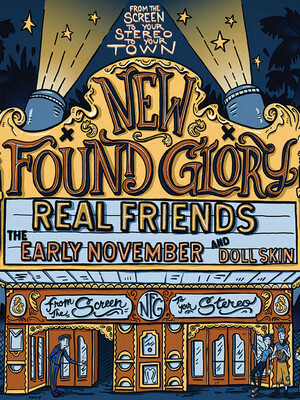 Why See New Found Glory? From The Screen To Your Stereo To Your Town tour! Hailing from Coral Springs, Florida, punk-pop band New Found Glory were formed in mid-1997 by vocalist Jordan Pundik, bassist Ian Grushka, drummer Joe Moreno (replaced by longtime drummer Cyrus Bolooki after the band's first release), and guitarists Chad Gilbert (previously the vocalist for Shai Hulud) and Steve Klein. Emerging during the second wave of Pop Punk, New Found Glory have been heralded as the godfathers of the genre, creating the blueprint for mega-bands such as Blink 182. With nine albums under their belt, New Found Glory will not lack for hits that will leave head banging and dancing all night. About Fort Lauderdale Theater: We are an independent show guide not a venue or show. We sell primary, discount and resale tickets and prices may be above or below face value. 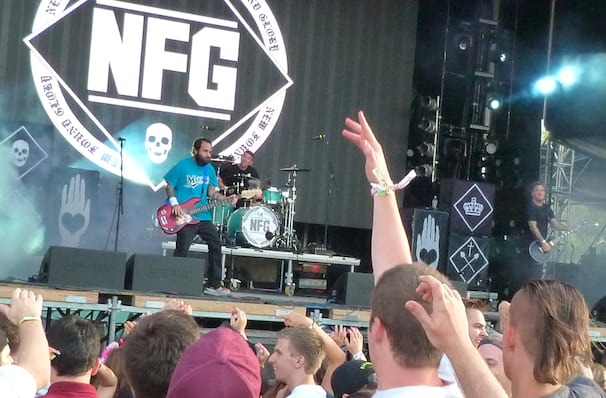 Seen New Found Glory? Loved it? Hated it? Help your fellow Fort Lauderdale Theater visitors by leaving the first review! Sound good to you? Share this page on social media and let your friends know about New Found Glory at Revolution Live. Please note: The term Revolution Live and/or New Found Glory as well as all associated graphics, logos, and/or other trademarks, tradenames or copyrights are the property of the Revolution Live and/or New Found Glory and are used herein for factual descriptive purposes only. We are in no way associated with or authorized by the Revolution Live and/or New Found Glory and neither that entity nor any of its affiliates have licensed or endorsed us to sell tickets, goods and or services in conjunction with their events.